Data is at the heart of our unique approach to lens filters. 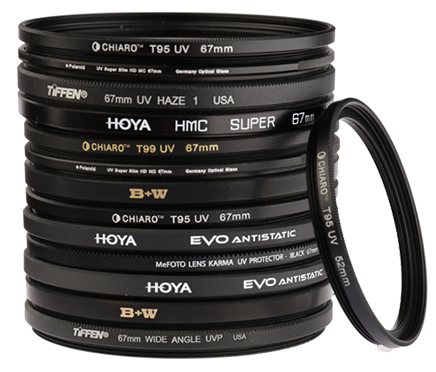 For clarity amid all of the industry’s marketing claims, we researched the market and commissioned rigorous standardized testing to get at the truth of what makes a great lens filter. Not only did this data allow us to refine our own lens filters, it also gives us an excellent opportunity now to empower photographers to make better-informed choices by sharing our findings with the community. 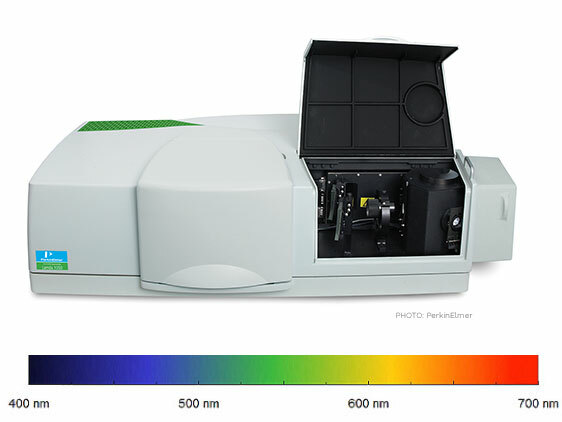 All filters were loaded in the Perkin Elmer Lambda 650S spectrophotometer. The final light transmission figures we arrived at are based on the filters’ average transmission between the wavelengths of 400 and 700 nm, i.e., the visible spectrum. Raw data and observations furnished by an independent ISO-certified facility. "Resistance coating" is a general term used to describe all the various coatings applied to filter to help keep the surface of the glass clear. This includes hard coatings that help resist scratching, as well as repellent coatings that allow for easy removal of oil, water, dust, and fingerprints. Anti-Reflective = multi-layer vacuum deposition coating. Side 1 = Observer side (closest to the subject). Side 2 = Ocular side (closest to the photographer). 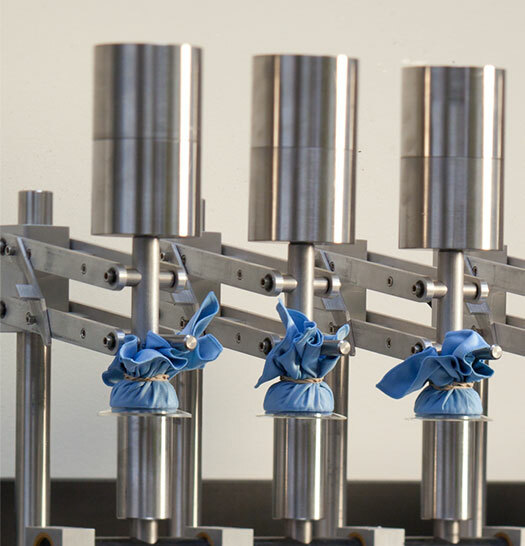 Samples were tested using a Kruss Goniometer that effectively determines the cleanability of the filters. 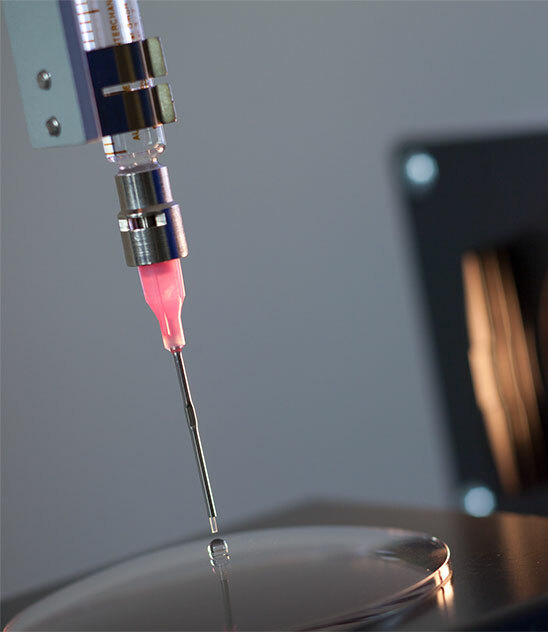 The instrument places a droplet of water and/or oil onto the sample center. Beading of the droplet(s) indicates a hydrophobic/oleophobic (water/oil repellent) coating is present which translates to cleanability … droplet flattening indicates no such coating and a more difficult cleaning regimen. Contact angle (CA) is the actual measurement of a water droplet’s shape on the filter surface. A contact angle (water repellant) measurement in excess of 108.0 indicates a high quality coating; and the higher the number, the easier it will be to clean the filter. Low contact angle measurements (under 40.0) or severe flattening of the water/oil indicate no hydrophobic/oleophobic coating was present. Although water (DI) and oil (Joba Oil) have different contact angle measurements, they are correlative. A simple Yes/No indicates that multiple droplets were placed on the filter surface for observation … and again, beading translates to cleanability while flattening indicates a more difficult cleaning regimen. "Stain" is the observation of the effective removal of an ink mark (Marks-a-Lot Permanent Marker). A straight-line mark was made on each filter surface followed by an attempt at removal using scotch-brand adhesive tape. Successful removal with no visible ghost image of the mark = Yes. Stain release testing is the final notation on the presence of a hydrophobic/oleophobic coating. Performance claims of one sample set over another are beyond the scope of this summary because the sample sizes were not statistically relevant and the differences are minimal. The filters’ surfaces were abraded with common 3M Scotch-Brite Pads attached to an ISO-type linear abrader with a pressure of one pound. Following this process, each filter was loaded in the BYK Haze-Gard Plus to test for increased haze. To test for the presence of hydrophobic and oleophobic coatings, a Krüss Goniometer was used to measure the contact angle of droplets on the glass. A high contact angle indicates beading, a sign of oil resistance, while a low contact angle indicates spreading and clinging. Flatness is important to ensure that the image is not distorted. 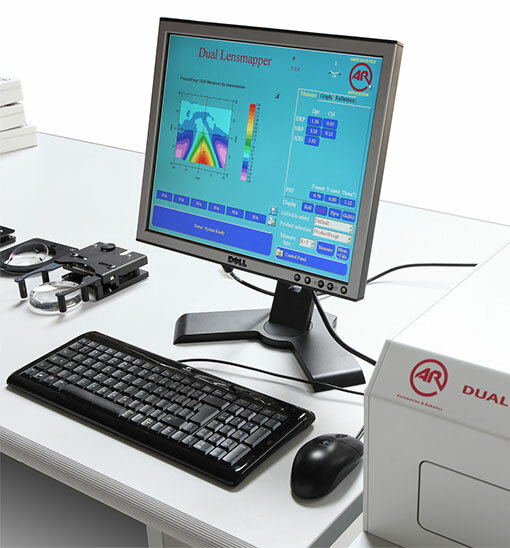 Using the A&R Dual LensMapper, the flatness of the filters was determined by testing for refractive errors that would indicate topographical variations in the glass. Testing was conducted on the following 67 mm UV filters, which were selected as a representative sampling of the most popular filters at every price point.